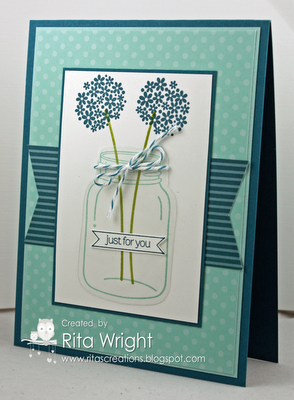 Cards by Rita: Clearly Fabulous! I finally found a few minutes to stamp today while Laila played on her mat. She is giving me a rough time with breaking out of her swaddle and not napping, so it's been a challenging few days here. I was happy to have a little crafty time to give myself a metal boost of sorts. I decided to work on this new sketch from Fab Friday and another HYCCT card. This is for Bev's clear challenge to use something clear. Tough, right?! Hopefully can you see my jar "clearly" in this picture. I just did a simple card since I was a bit limited on time today. :) Now I'm off to try to nap while she's napping. We had some cooler weather move in but it brought sinus troubles for me along with it. My poor head is very unhappy. Have a wonderful weekend! My little munchkin from earlier today. She just keeps growing! Fabulous card Rita. Hope your sinuses clear soon and you and Laila get back to regular napping! Yay! I'm so happy Laila gave you some time to play with us! And you're first!!!! This is so cute! That jar is adorable and I LOVE how you used the sketch! And Laila is adorable too of course:-) I had a headache the other night....silly weather....hugs! So pretty and I love your take on the sketch! Great colors too! 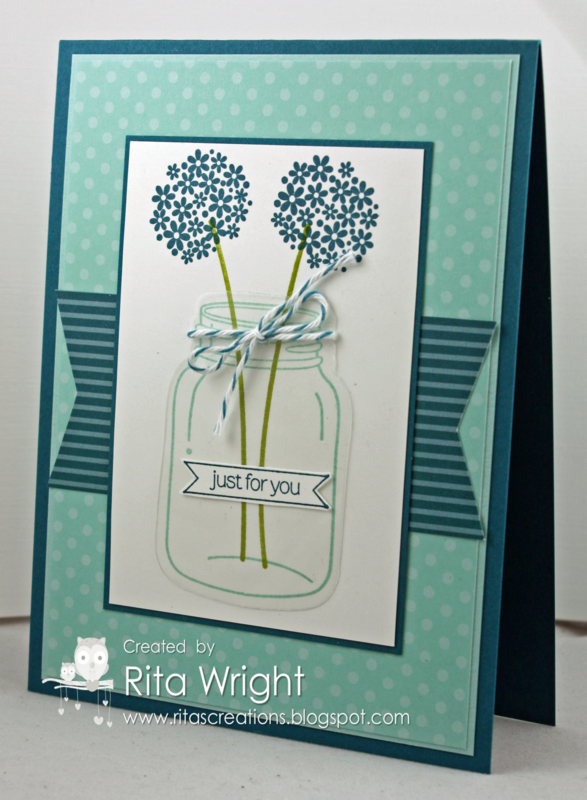 Love your jar as the clear part for the Hope challenge! Thanks for sharing with us at Fab Friday! This is such a pretty card. I love the colors. Miss Laila is such a sweetie and so adorable! I love that expression. TFS! I am having similar issues with my sinuses too, so I can sympathize with you. Hope you feel better soon!